It is one of the most chilling places on our planet. 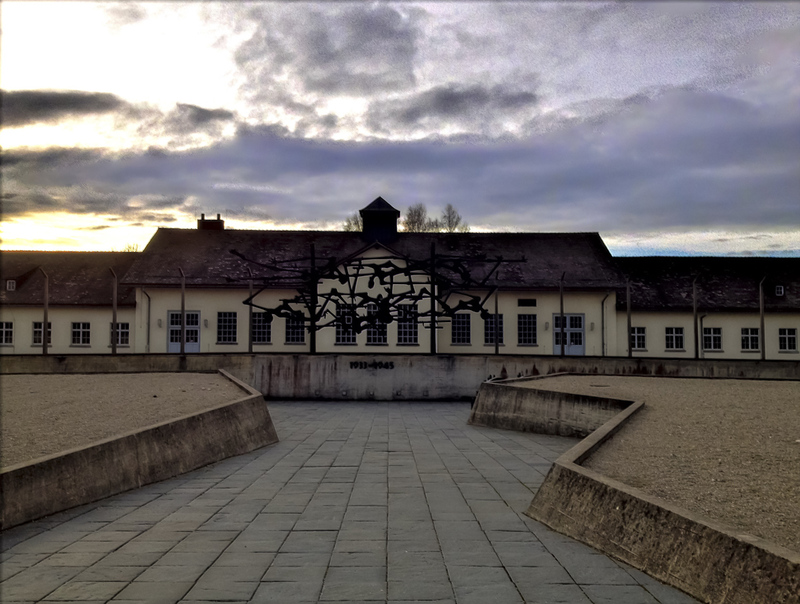 One cold December morning, I drove to Dachau, a small town in the periphery of Munich. Clouds were fighting with the sun about who would dominate the day: a diffused dark grey or bright yellow beams of light. 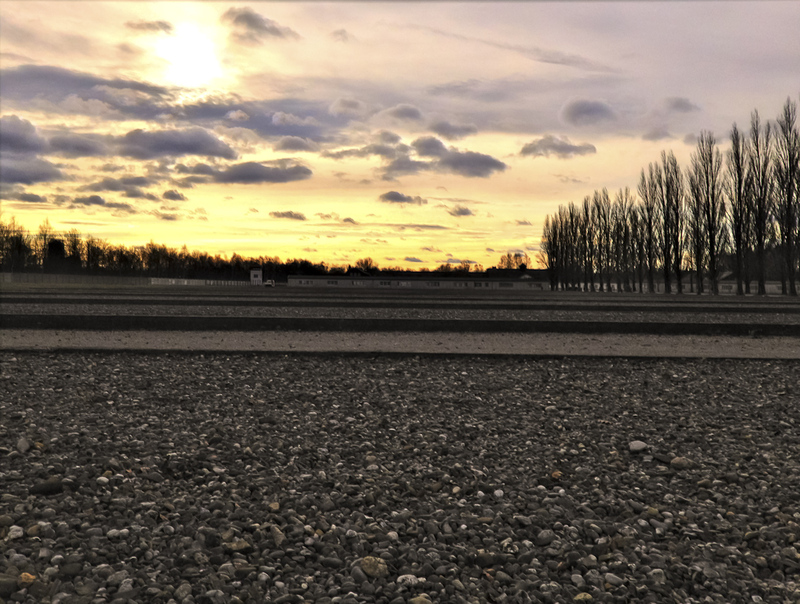 While the battle unfolded, I walked up the dusty path to the entrance of the Dachau Concentration Camp. I felt physically cold while trying to prepare myself for the emotional deep-freeze I was about to experience. I strolled along, eagerly awaiting the first sighting of the entrance gate. After each turn in the path, I was hoping to soon find shelter and escape the icy wind. I felt ashamed of my search for comfort. How long was this road for the countless people who traveled it towards a nightmare some 68 years ago? The weather must have been the least of their worries. 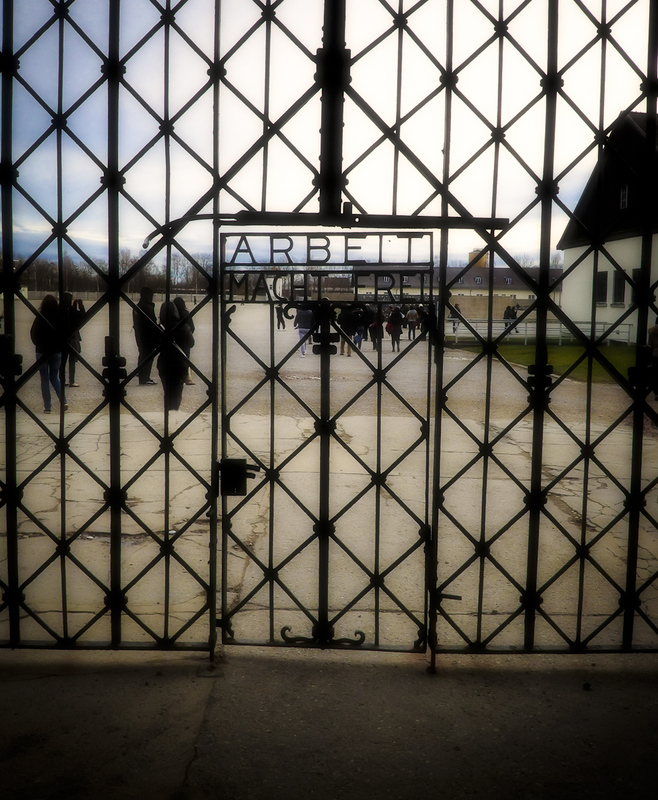 One last turn and there it was: The epitome of sarcasm and emotional cruelty: The entrance gate with the carefully crafted suggestion: Arbeit macht frei. As I opened the gate, I tried to feel what it must have been like, for so many innocents, to leave the path of life and enter through this gate toward death. I failed. It is impossible to truly tune into that emotional state. On the other hand, could I understand the feelings of those guards who stood at this junction, watching the stream of human life, hope, and desperation enter through this gate? I am shocked by the very idea and fear the mere thought of it. I quickly step on the grounds, and into the past, when my eyes recognized the perfect symmetry of the place.The long U-shaped center building - simple but powerful. The windows look like watchful eyes observing the vast camp unfolding in front of them. Nothing and nobody will escape this place. It is structured. It is clean. It is perfection. A chill goes through my body. My senses are in high alert. My mind is racing as I descend on to the crocked path towards the sculpture in front of the central building. On the right, my eyes catch a second sculpture, with its bright, cheerful colors. The chill erupts into a choke as tears fill my eyes: The colors, who symbolize the classification batches on the prisoner uniforms. There is such stark contrast - almost playful - like a children’s play set. God, what place is this? The exhibition is very intense, informative, and fair. It asks as many questions as it answers. The one which has been analyzed by generations but was never truly answered is the one which haunts me as well: Why? So many people knew, took part, or looked the other way. As I walked through the exhibition, I heard languages from all around the world. I observed people debate. I observed the silence; the grief; the anger. I saw tears. How dare somebody laugh? It was a group of students, maybe 14 or 15 years old, who seemed to be on a field trip. While they did not display a respectful sense for this place, they actually made me smile. They represented life, hope, and the future in the presence of darkness, evil, and death. 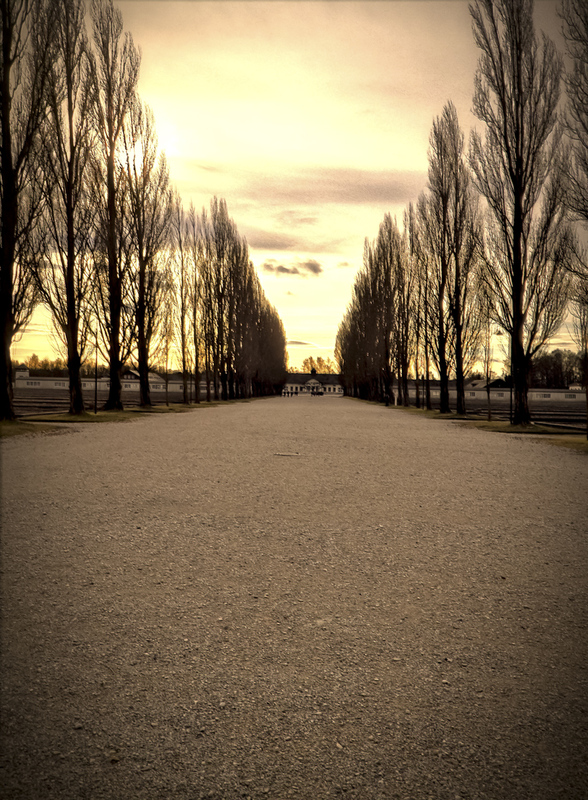 As I left the exhibition and began my march down the main camp road, to the death chambers, I looked at the tall trees swaying in the wind and wondered about all the life stories they must have seen coming to an end. I heard the sound of thousands of steps on the gravel. I heard the voices of children as they walked along innocently. How many played hide and seek behind these trees? 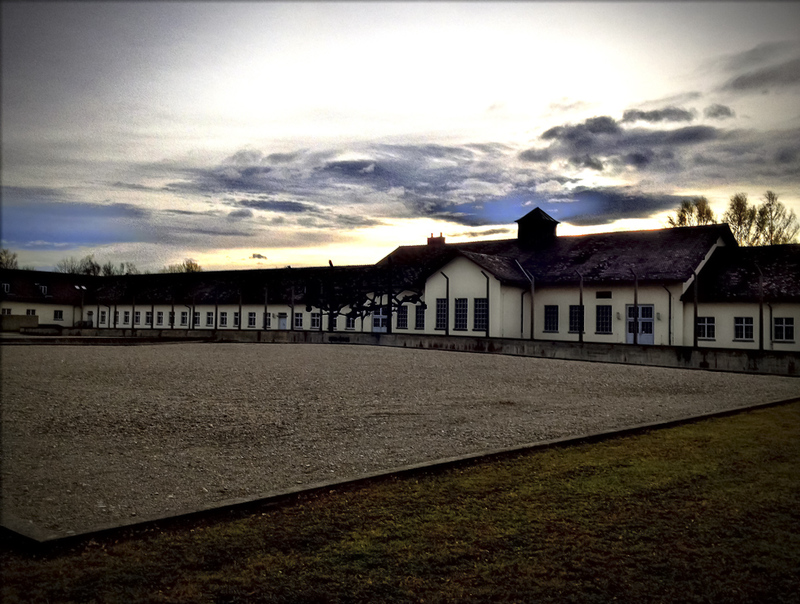 To the left and right were the barracks. Row after row, as far as the eye can see. How many souls were trapped in these structures, hoping that they would make it through? Again, I was struck by the sense of order and symmetry. Perfection. Nothing seemed to be unplanned. Nothing was an accident. It was all wanted. Willful. Calculated. 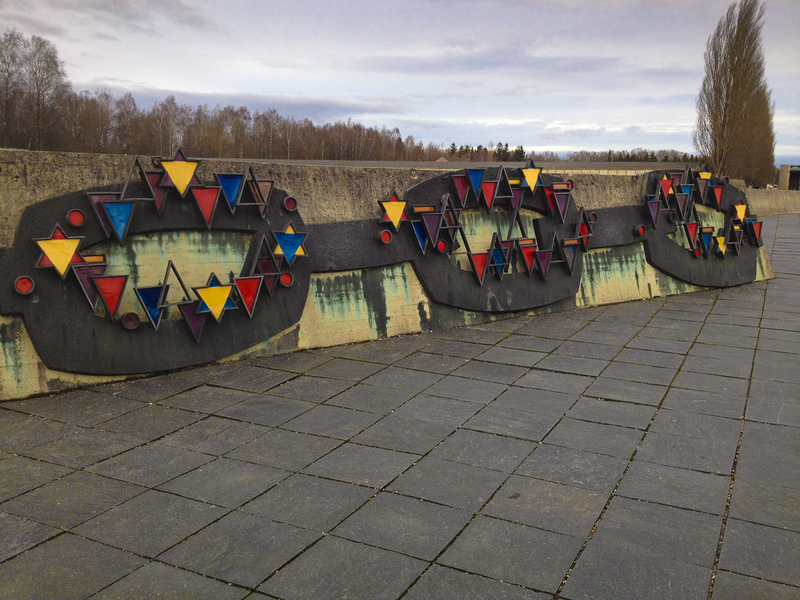 My hands and feet were numb as I reached the end of the road and took the last steps into the ultimate building, which stands for the Endlösung. I don’t know anymore what to think. It is all rushing by me, like a bad dream. As I glide through the chamber, the shadow of a fellow visitor dances on the wall. The final dance. I step out and take a deep breath. Crisp and clean air. Not the smell of death, which used to fill this place. Just a clear winter morning in a world still at war in many places. We have to make peace with the fact that war is part of the human existence. 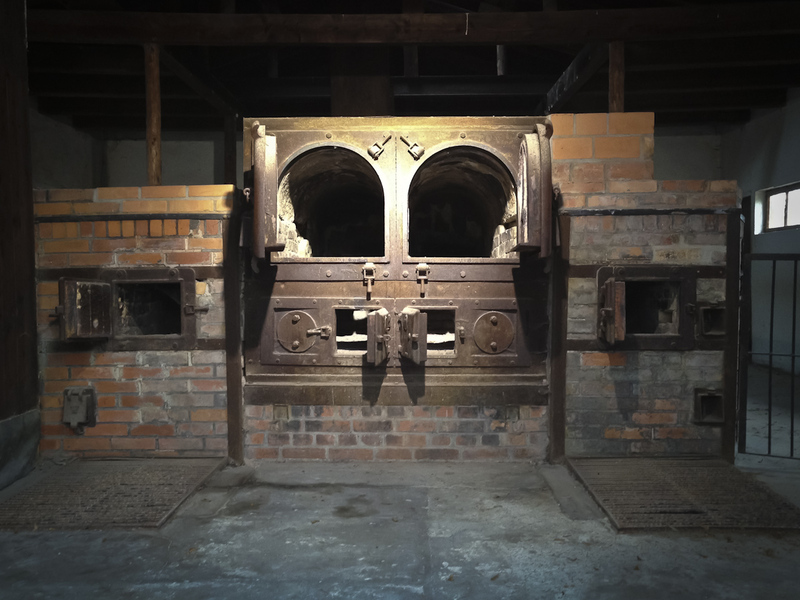 My eyes discover the ovens where so many were turned to ashes. Two black holes framed by bright light. Our human history is filled with cruelty. So many fellow Germans have argued, in ignorance or defense, that this atrocity is numerically not the worst in history. 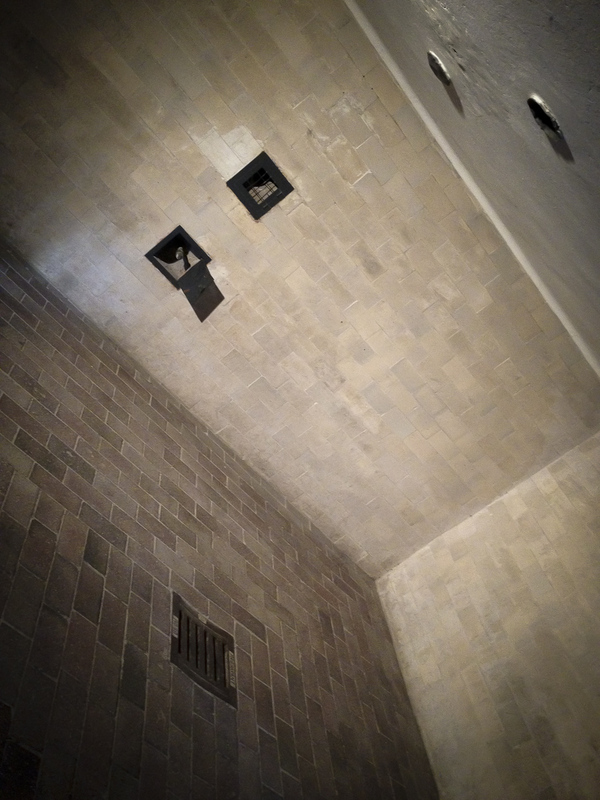 After experiencing this place, the point is not the number of people who were slaughtered but the separation from humanity. It is about the industrialization of death. It is about the perfection of extinction. Death is human. War, with all its cruelties, is – regrettably - still human.